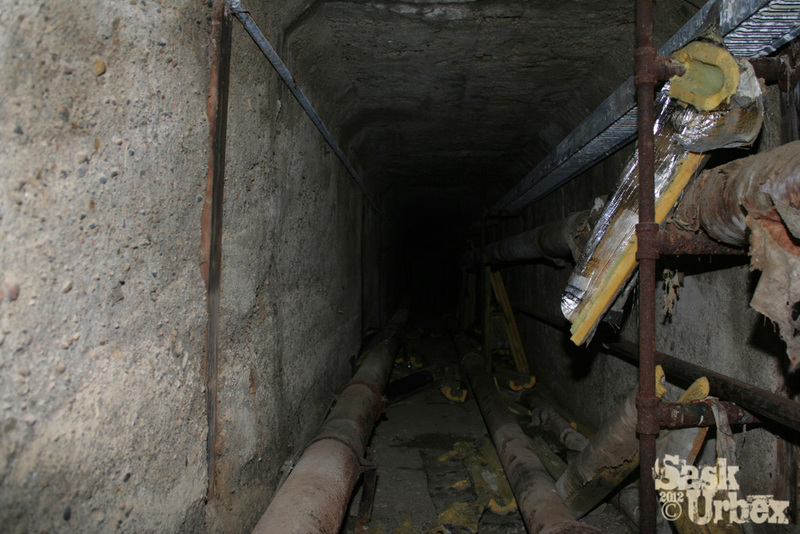 I love locations with steam tunnels however I have only seen a few in Saskatchewan. 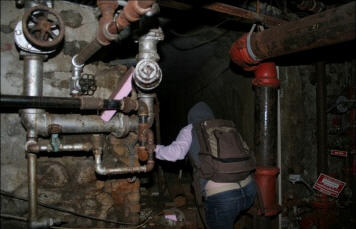 The ability to move from building to building undetected via underground tunnel is so cool to me. From what I could tell the San once had a much larger network however much of it is either gone or not accessible anymore as the buildings it served have been gone for many years. 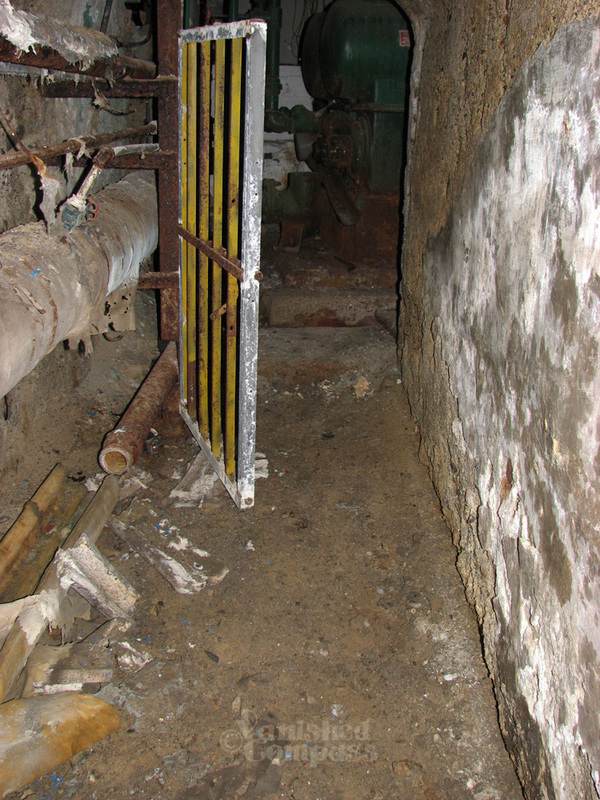 The steam network connected almost every building in the complex however only a single house actually had access to the tunnels. 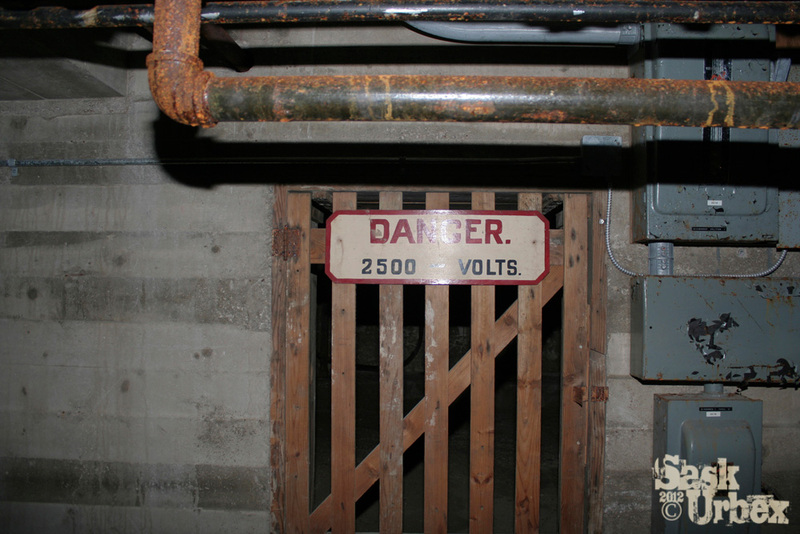 Most of the smaller houses had just a small conduit running into the house. 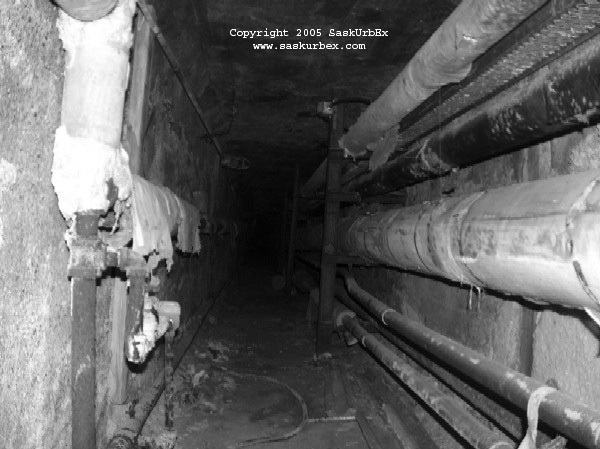 When we first accessed the buildings in 2008 the only way in and out was through the steam tunnels. We accessed them through the same house I had found the access in 3 years earlier. The tunnels themselves are tough to photograph so below are some of the few that turned out decent. 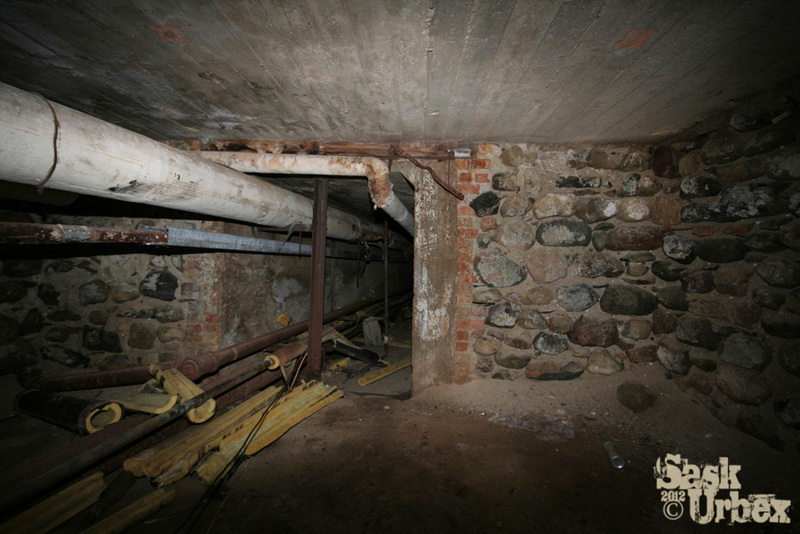 This is in the basement of Mission Lodge looking at the steam tunnel connection. This is a very wide lens so it looks like the tunnel is bigger that it really is. 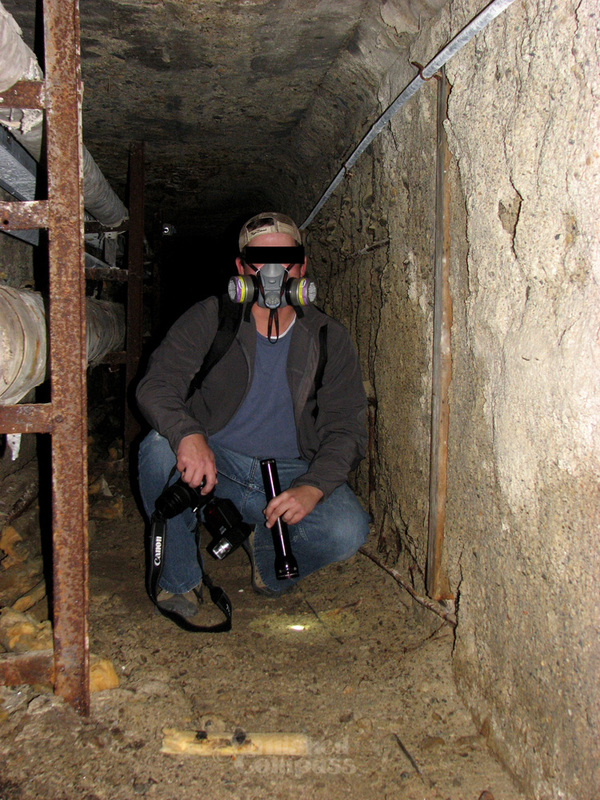 The tunnels were only 5 feet high and 4 feet wide. Once you factor in the space for the piping there wasn't a lot of room to move through them. 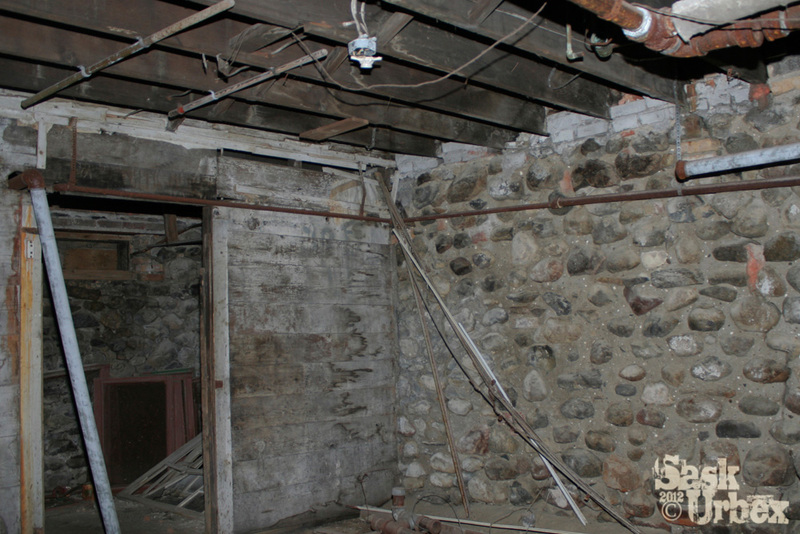 As you can see in this photo the majority of the insulation was asbestos and it wasn't in very good shape. 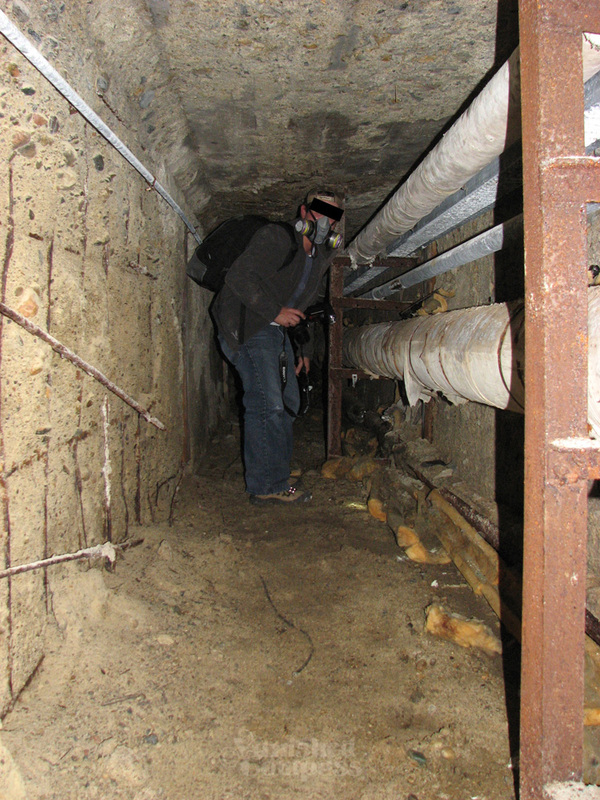 The tunnels being very tight also made it very tough to not disturb it. 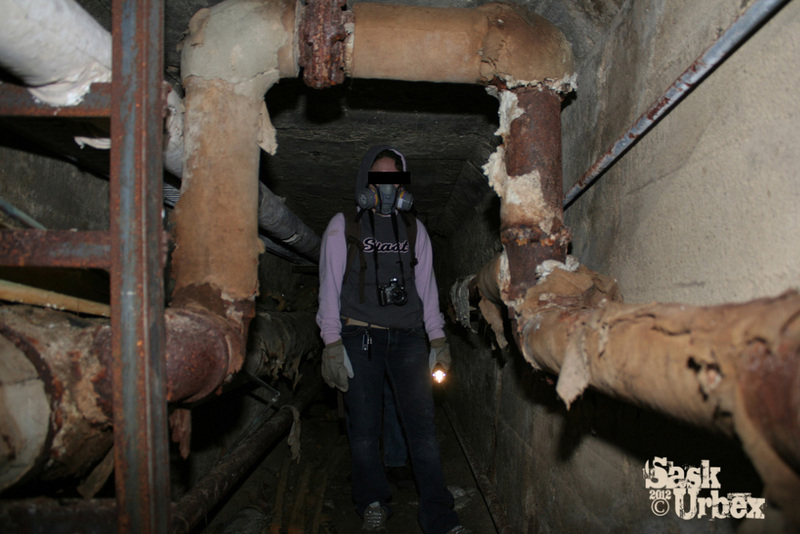 We decided that to be in these tunnels that we had to wear a respirator. This is one of my photos from 2005. 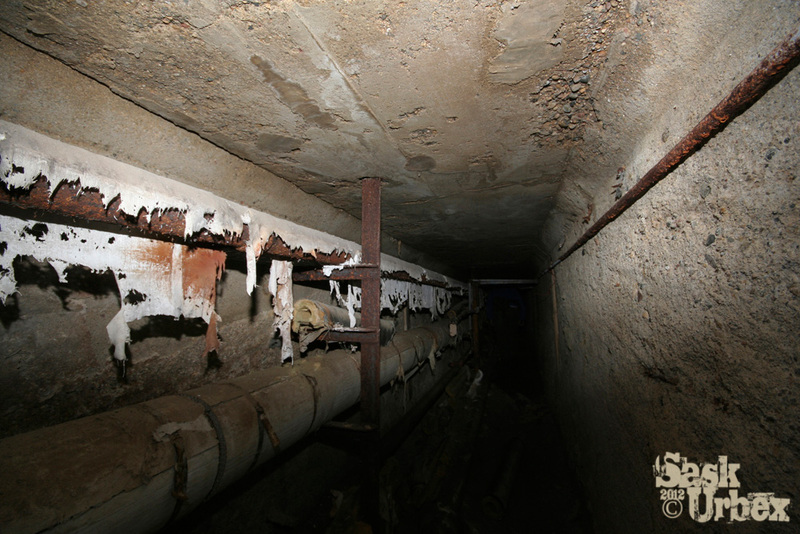 By 2008 some areas on the tunnels appeared to be failing structurally and it was nerve racking to walk through the areas where large pieces of concrete were on the floor that used to be a part of the roof. 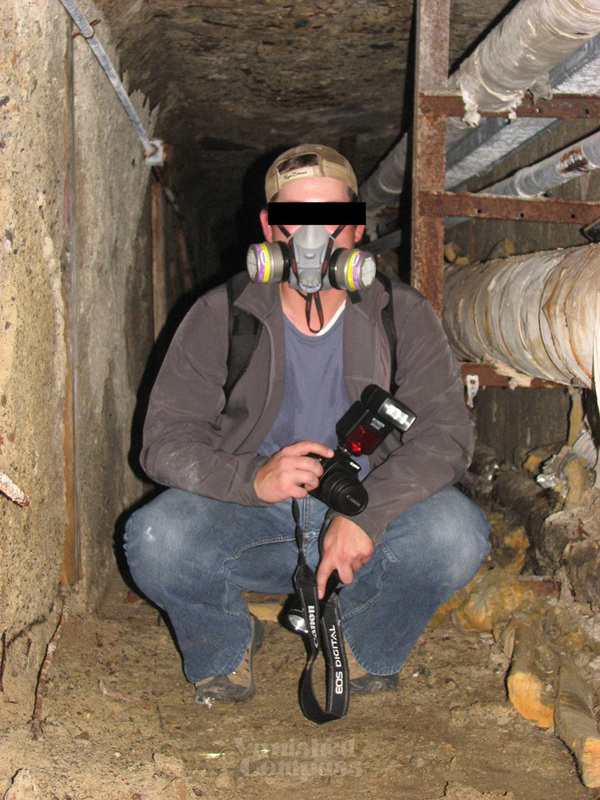 Myself in 2008 - it was very hot in the tunnels that day. 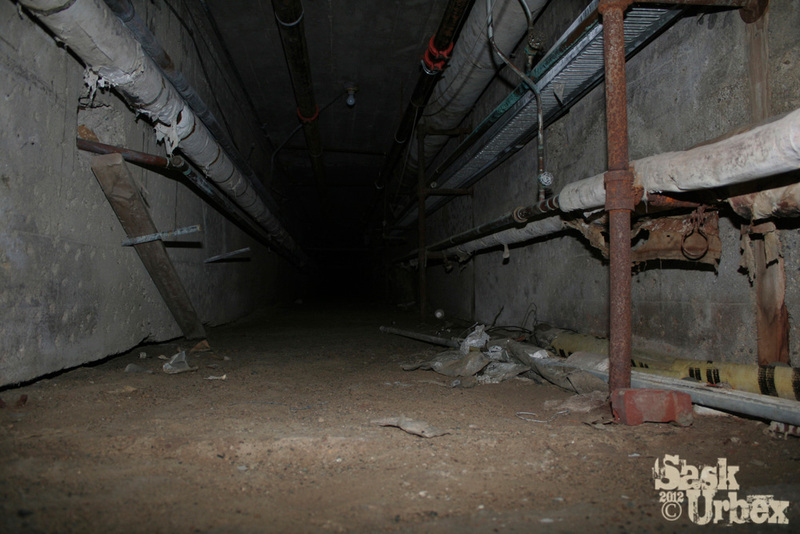 I had to crouch over a fair bit to walk in the tunnels. Hard on the back after a while.